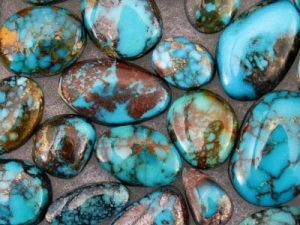 28 JunThe World-Renowned Arizona Turquoise Mines: Know Your Turquoise! Did you know that turquoise is one of the oldest stones in human history? Its uses range from royal decoration to medicine and even healing. It has been found in various cultures, including Ancient Egypt, the Persian Empire, the Shang Dynasty in China, and has been used by the indigenous people of America for over a thousand years. Arizona itself has a history of mining the beautiful stone. Below you’ll learn about Bisbee, Sleeping Beauty, Kingman, and Morenci turquoise. 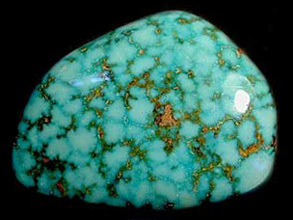 Bisbee turquoise was one of the first to enter the market and has since become one of the most sought-after types of turquoise. The mine was originally meant for copper, so when the owners discovered large amounts of turquoise, they ordered it to be sent to the dump by the truckload. The workers, however, saw the value and began to stash small amounts in their lunchboxes every day before heading home. By the early 1960’s, the demand for Bisbee turquoise was high. Bisbee turquoise comes in many shades of blue with webbing, but the highest quality Bisbee turquoise is dark blue with chocolate brown or red webbing. 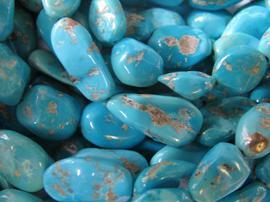 Today, genuine Bisbee turquoise is rare and highly collectible. 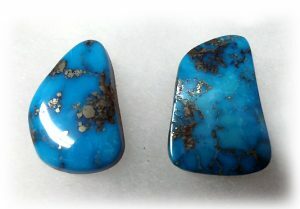 Notice the beautiful red webbing in these Bisbee turquoise cabochons. Sleeping Beauty turquoise was originally discovered by Native Americans during the Anasazi period and used for trade with the Central and South American indigenous people. In fact, there was a large trading network at Pueblo Bonito for just for turquoise during this time period. The mine was rediscovered and used for copper and gold—that is before there was a surplus of turquoise found. The boom had come in the 1970s and 1980s for Sleeping Beauty turquoise because of its Robin Egg blue color and little to no webbing. The mine could meet the beauty standards and the consumer demand, so it quickly became world-renowned. The Sleeping Beauty mine was closed in 2012, making its turquoise even more valuable. The “Robin Egg” blue makes Sleeping Beauty turquoise stand out. The Kingman turquoise mine is one of the largest in North America. It has produced the largest quantity of stones in recorded history and includes two extensions: the Ithaca Peak mine and Turquoise Mountain. Each part of the mine produces a unique variation of turquoise. Navajos originally mined Kingman turquoise in 600 A.D. as part of the aforementioned Native American turquoise trade network. It was later discovered again in the 1800s, but did not become mainstream until Leonard Hardy launched a marketing campaign from 1950-1970. The most sought-after Kingman turquoise is bright blue with a black or silver matrix. But because of the mines large size, turquoise can also be dark blue or a light green. A light green Kingman turquoise stone with brown webbing. Similar to the Bisbee mine, the Morenci owners failed to see the value in turquoise. They wanted Morenci to focus solely on copper, as it was Arizona’s main mining export. They heard that workers had begun to pursue turquoise instead of copper by bringing it home and selling it to local vendors. They promptly mined the turquoise and buried it deep underneath the waste rock in order to force the miners’ attention to copper. The turquoise is almost exclusively blue and entirely matrixed. It is highly demanded because the webbing consists of pyrite, aka “Fools Gold.” The stone is polished until the matrix becomes a shiny silver to perfectly complement the blue. This stone is widely used in Native American jewelry. The turquoise is bold, affordable, and local, making it a favorite with the Zuni Pueblo and Navajo silversmiths. The striking appearance of “Fool’s Gold” webbing makes Morenci turquoise stand out among the rest. Turquoise is a powerful stone that has drawn people to it since its discovery, and the tradition has continued today in Arizona. It’s hard to believe that the Bisbee and Morenci mining companies would simply bury it! We hope that you have enjoyed this synopsis on turquoise! 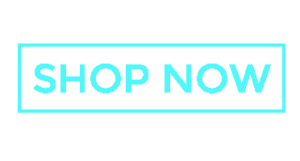 If you have any questions about turquoise and our featured jewelry, don’t hesitate to contact us!